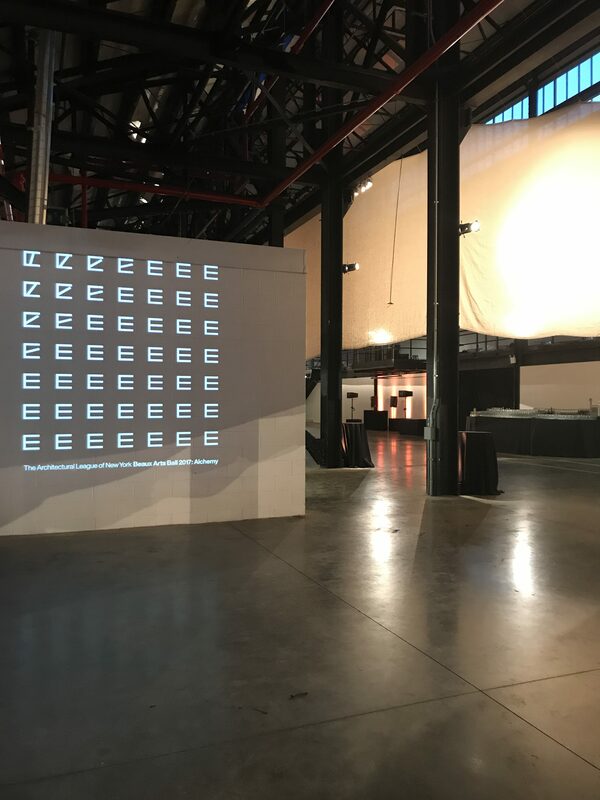 What happens when you host an architecture and design party at a cocoa factory in Brooklyn? 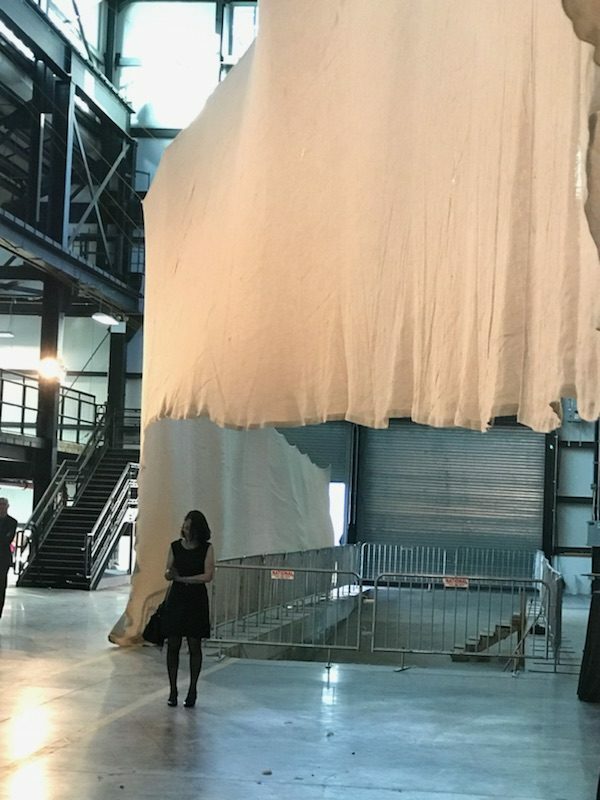 The Architectural League of New York decided to test-drive the idea, locating last Friday’s 2017 Beaux Arts Ball at Brooklyn Navy Yard’s Building 28. 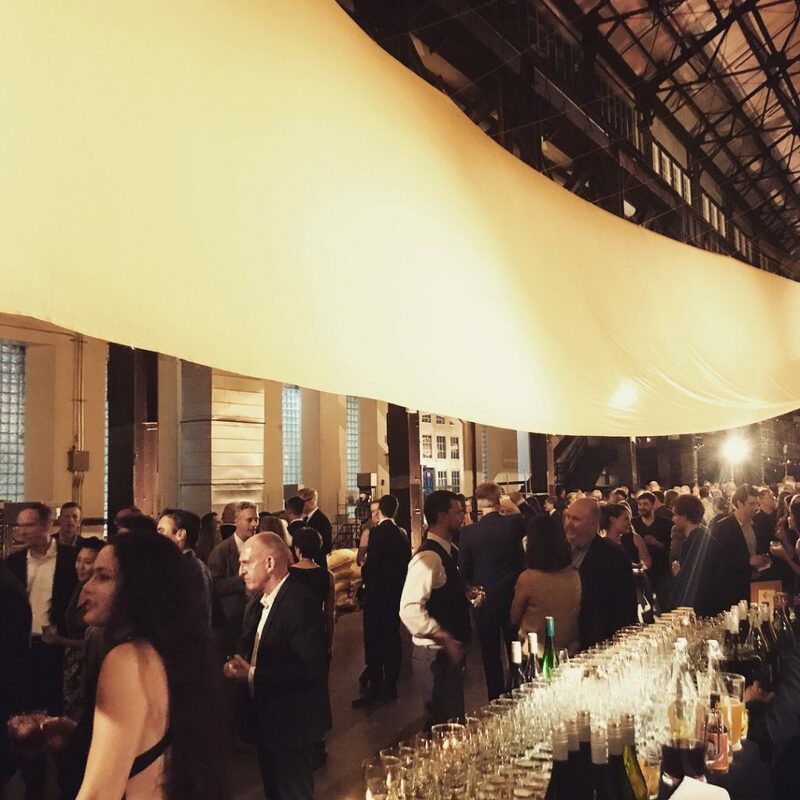 As proud sponsors of the architectural gathering, Hunter Douglas Architectural went along for the ride. 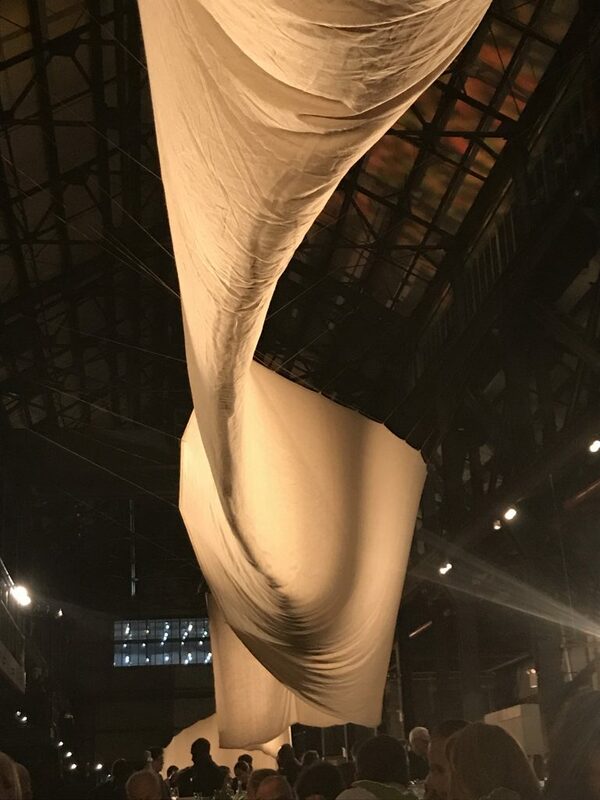 Inside the 65,000-sq.-ft. industrial space, guests were greeted by a site-specific installation made of raw, loose woven fabric draped from above, stretching 465 feet to create a series of “soft rooms.” The freeform waves gently rippled as breeze moved throughout the enormous, airy space, and played with shadows through lighting effects by Joel Fitzpatrick Studios. The Brooklyn-based chocolate label, created by the hip bearded brothers Rick and Michael Mast, is known for its artisanal, ever-changing packaging that takes inspiration from architecture and textiles. 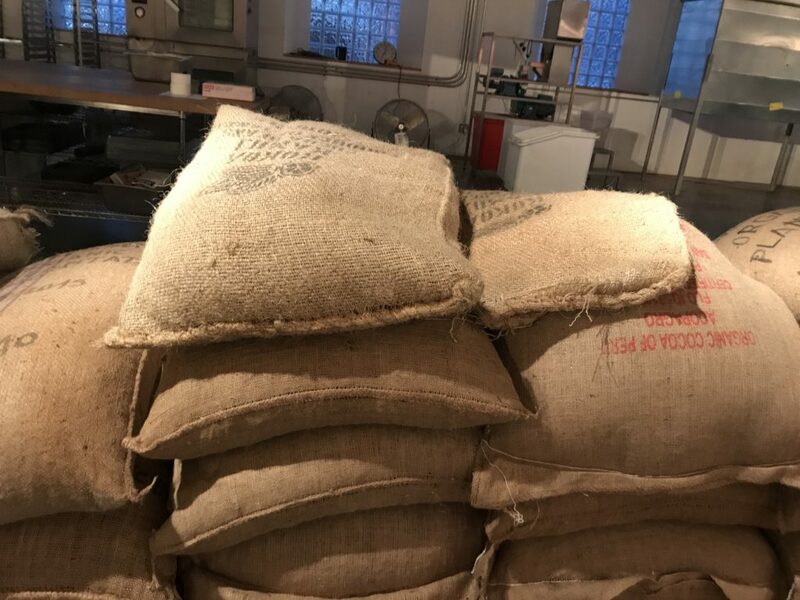 The early stages of the final product (unsweetened cocoa nibs) were left undisturbed as curious visitors wondered at the burlap sacks on display. 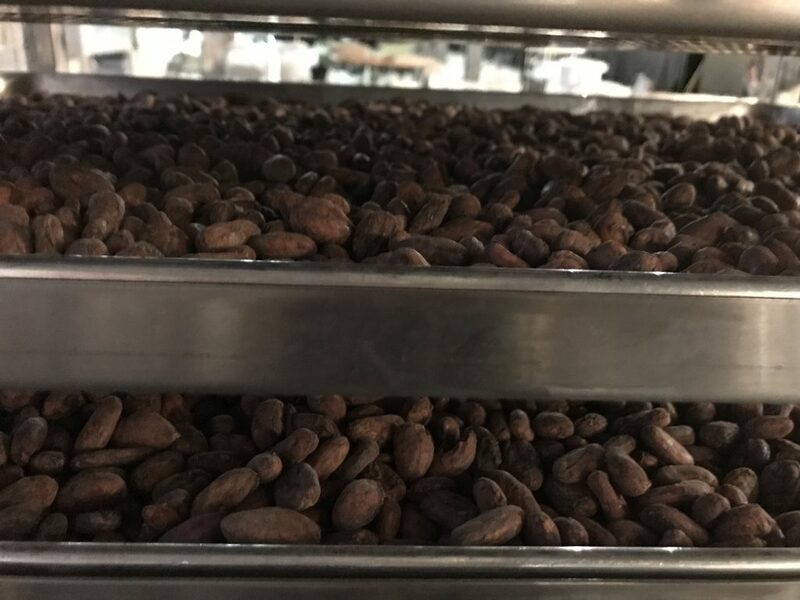 After adjusting to the unfamiliar smell of raw cocoa laid out on trays, Beaux Arts guests sipped the house cocktail – the “Brooklyn Negroni,” and munched on delicate hors d’oeuvres like beet-wrapped goat cheese finished with finely crushed pistachios. 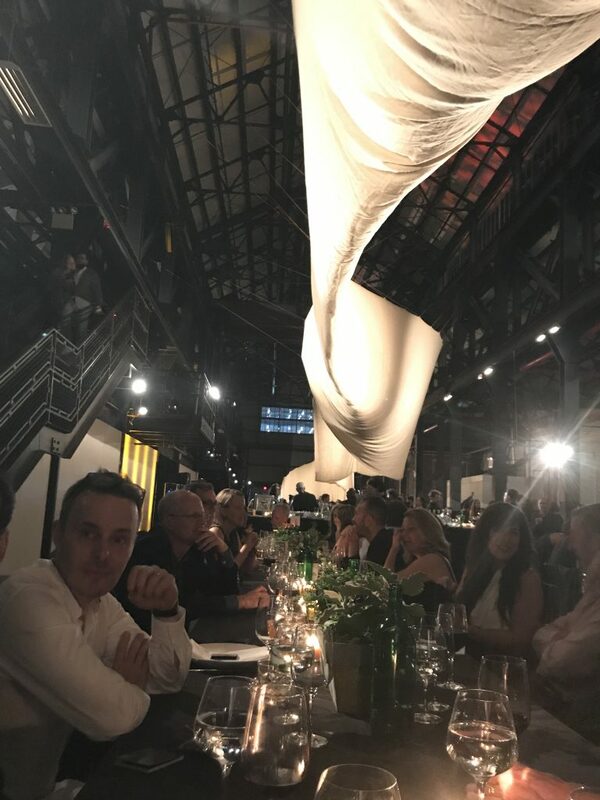 Later, 300 firm principals, designers, architecture communications and PR personnel, members of the League and their invited guests, sat down at long, banquet-style tables for a lively dinner held for the League’s patrons, sponsors and advocates. 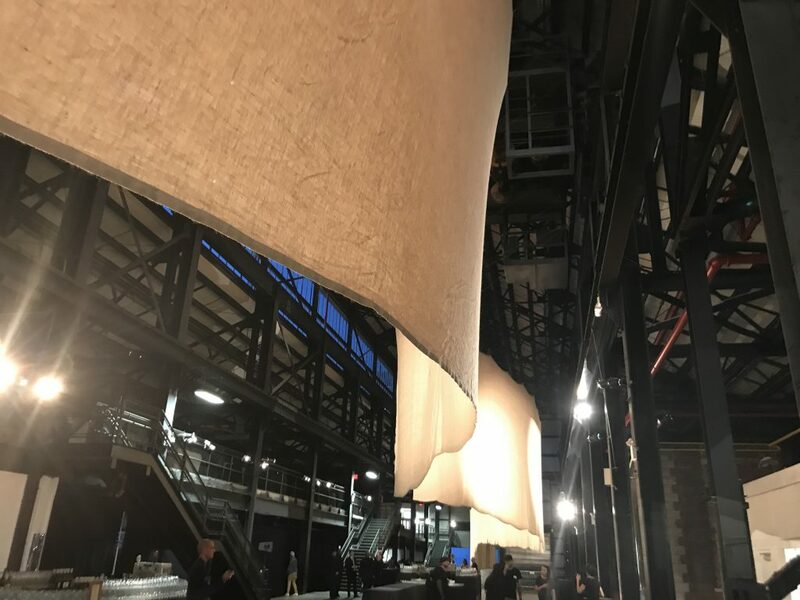 With family-style Mediterranean food to pass, conversations veered from New York networking to genuine, friendly discussions about emerging architectural trends and “wow” moments seen around the globe. 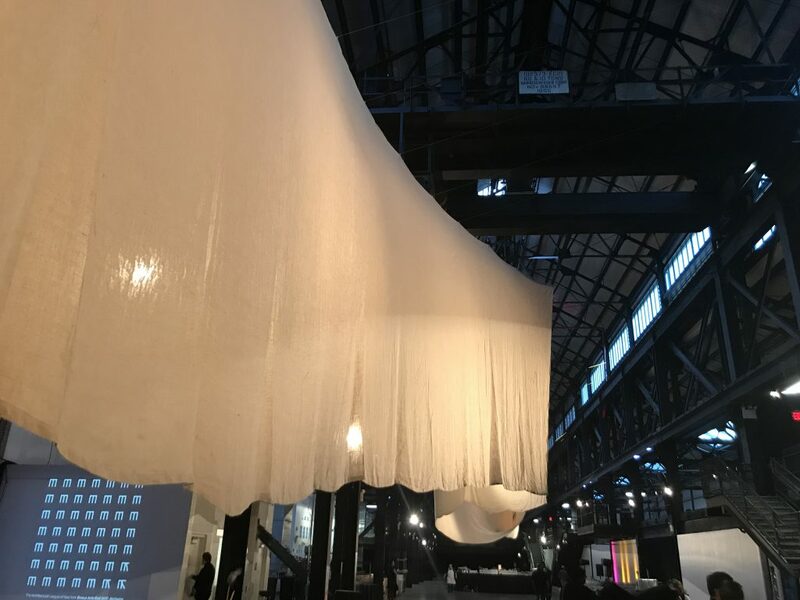 The vibe of conversations we experienced was upbeat, inspirational and decidedly optimistic about the greater architectural community — from Chicago, to London, to back home in Brooklyn. 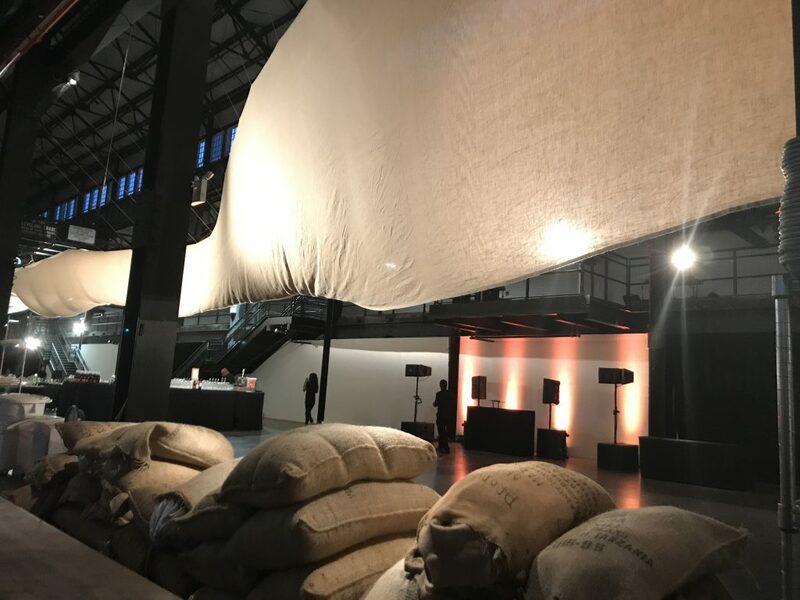 “Dining beneath the immense installation… in a cavernous space smelling of chocolate, the dinner’s theme ‘Alchemy’ could not have been more fitting,” said Finn MacLeod, a communications representative from Skidmore, Owings & Merrill LLP. As dinner came to a close, guests spread out across what would become a fabulous dance floor under the helm of DJay Jung. 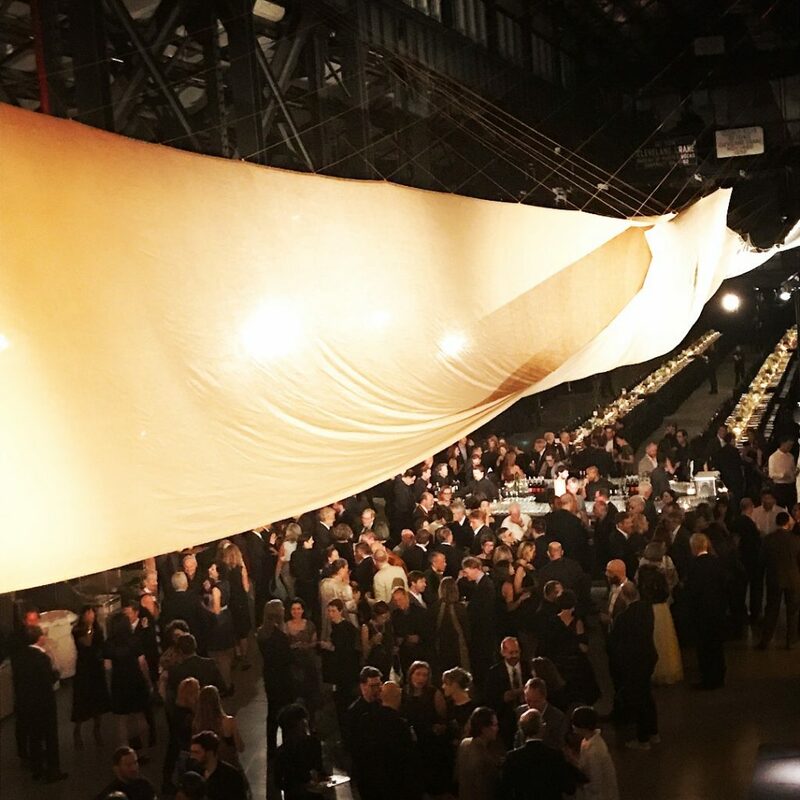 Talk about alchemy — within moments of the dinner coming to a close, another 1,000 chic architects, designers and aficionados flooded the front doors, eager to join the fun. 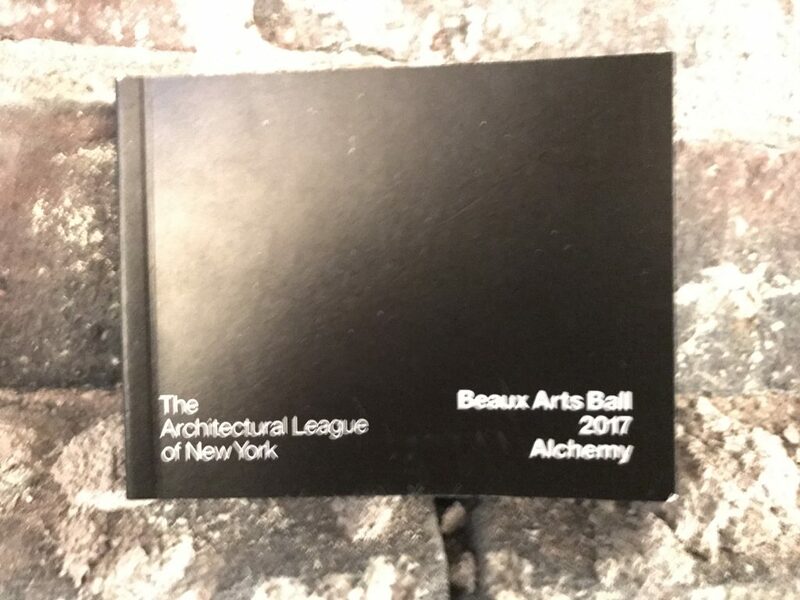 Click here to read more about the origins and early iterations of the annual Beaux Arts Ball, which once saw architects costumed in skyscraper hats in the early 1930s. For more pictures of the dinner and afterparty, click here.